Our rallye frame bracket is a bolt-on part that will require no modification and it is totally reversible without leaving trace. 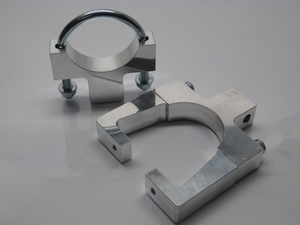 Top bracket is a 3-part piece which is self-adjusting to the steering head. It uses the ignition barrel fastening points and is then tightened against the steering head. 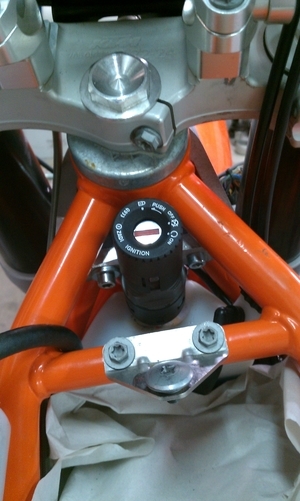 Lower bracket uses a simple U-piece around the steering head. This leaves a very tight and stable fit. 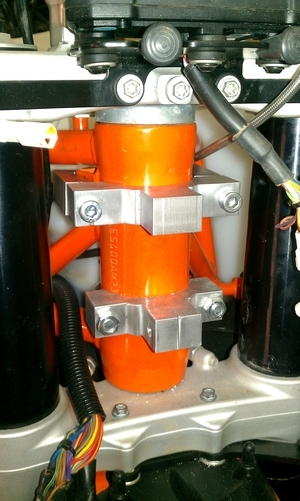 It is a tested and proven solution to fit a navigation tower to the 690.